Disclaimer: I was given a free copy of the book 11 Days In May for review. Transportation to The Sandcastle Estate in The Hamptons was provided as well as any refreshments consumed while we were there. However we did pay for the trip to New York City, our meals and lodging. All opinions are my own. 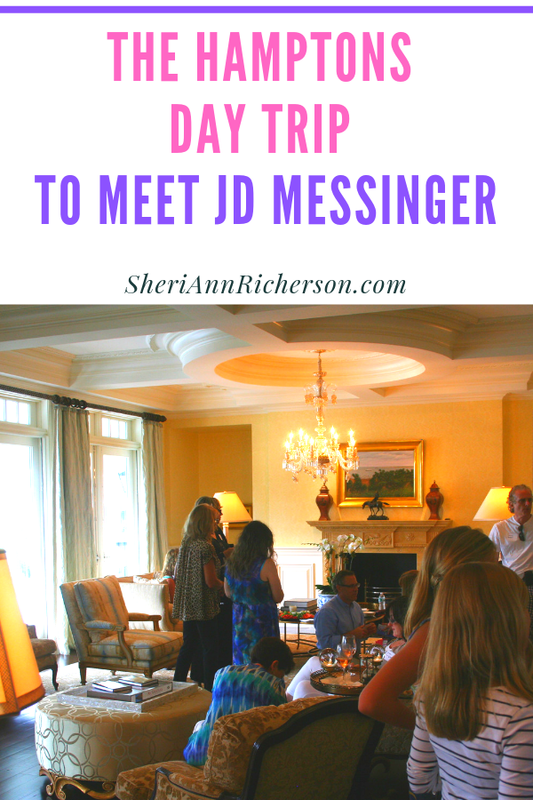 The Hamptons Day Trip was a dream come true for me and meeting JD Messinger was exciting to say the least. One never knows just where the writing business may take you and back in the day I never dreamed blogging would take me the places it has, especially to The Hamptons. Never did I imagine waking up early on a Saturday morning, looking out of my hotel window and seeing the New York City skyline, but that was just where I found myself. 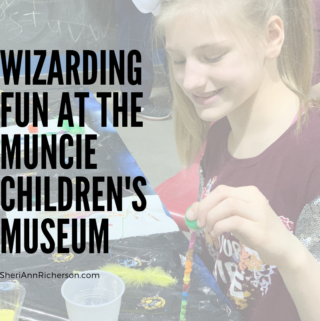 This was no ordinary Saturday morning however – nor was this simply a vacation – it was so much more. I anxiously jumped out of bed racing frantically around the room grabbing my curling iron, finding out my make-up did not get packed and moaning about not looking my best. I was anticipating meeting author JD Messinger at the Sandcastle Estate in The Hamptons later that day and I wanted everything to be perfect. After all, it isn’t every day a small town girl from Indiana gets invited to an event in The Hamptons. Without so much as a bite to eat, my traveling partner Jeffrey Rhoades and I headed downstairs to catch a ride to the bus stop. I didn’t want to be late getting into the city. I had no idea how long it would take to find the bus stop for The Hamptons Jitney once we arrived at Port Authority. I didn’t want to miss the bus either and was not sure how long the bus waited for passengers to board. I chose to wear a blue floral Jennifer Lopez dress and black Mudd flats for the event – and it was a good thing too since it was quite a walk to the bus stop where The Hamptons Jitney would pick us up. I’m not accustomed to wearing dress shoes and unfortunately I had just bought this pair for an event with P. Allen Smith in Chicago a few weeks before, so naturally they were not broke in. 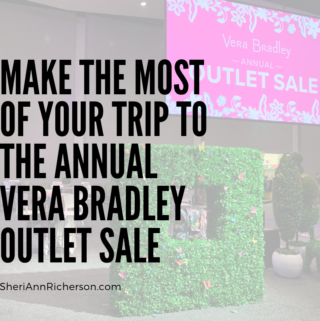 As we briskly walked through the streets of New York City, we recognized street signs – we passed Madison Avenue, the Avenue of Americas, 5th Avenue and many more. I made numerous pit stops along the way to take photographs of plants that I saw. Then it began to rain…..
At first the rain was light and it was possible to stand under the overhang of buildings. I mentioned the fact that we didn’t have an umbrella and I didn’t want my hair ruined – but Jeffrey didn’t catch on – in fact, he just kept walking. I was a bit afraid we were going to be late, so I didn’t suggest stopping to buy an umbrella. Then it began to downpour. Even though we quickly found a building to go into, it was way too late. My hair was ruined and my dress soaked. I told Jeffrey I was so upset because – after all – I wasn’t going to a wet t-shirt contest. He insisted I looked beautiful and I really just wanted to scream at him – but of course, it really wasn’t his fault. I had left my purse behind and neither of us had a comb or brush. I kept trying to comb my hair with my hands, but that wasn’t doing much. The curls were gone – and I was glad my make-up had been left back in Indiana – had I worn any it would have been a streaked mess by now. There wasn’t time to find a place to shop for a brush or comb, so we stood at the bus stop waiting – and I hoped for the best. The ride aboard The Hamptons Jitney was very nice. They brought snacks and drinks around for the passengers. Those of us who were part of the JD Messinger party were given gourment cupcakes – and they were delicious! It was a long ride, but a very comfortable one. Since neither Jeffrey nor I had been to New York before, it gave us a chance to enjoy the scenery and relax. Once we arrived in the Hamptons we were picked up in private vehicles and driven to the Sandcastle Estate where JD Messinger was awaiting our arrival. As we stepped out of the vehicle it was clear this would be no ordinary author event. The house was stunning – and the entryway was filled with posters, books, people to greet us and press kits. There was a wide array of food and drinks available and we were told to help ourselves. There was even live music…..and we were told several celebrity guests were expected. We were each given a copy of JD Messingers book titled 11 Days in May – and he graciously signed everyone’s copy. Then we were taken into the library so he could talk to us about the writing of the book and show us how he was using the WeJit interactive discussion tool in the ebook version of 11 Days in May. The WeJit interactive discussion tool is truly an impressive idea. It is – simply put – a link that is inserted into the text of an ebook that directs readers who click on it to an online discussion board where they have the opportunity to answer questions, type in their thoughts and possibly even interact with their favorite authors in real time, which really is very cool indeed. As for the book itself, you simply must read it…..even if you think this is not the type of book you would ever consider reading. The book is JD Messinger’s realization of the reality of the world. We are all beings of energy and all interconnected, without a doubt. The book is like a big puzzle that you put together. As you read you begin to see the pieces come together to create this grand, beautiful picture. They are all simple, common sense pieces of information that – once you connect them – open your eyes to greater truths. This is a book that I highly recommend everyone read – especially those searching for the purpose of life. JD Messinger did indeed answer thirty-six of life’s greatest questions in the mere eleven days it took him to write this book. 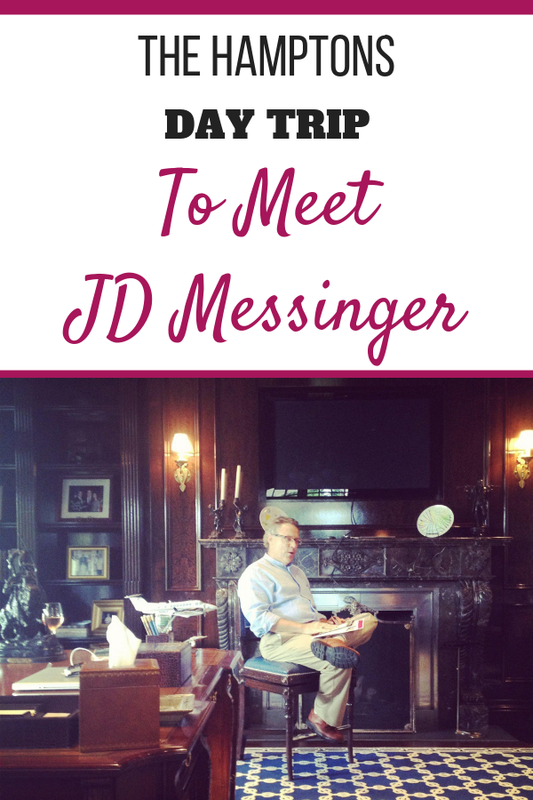 In retrospect, the trip to New York and Sandcastle Estate, the opportunity to meet JD Messinger and read his book really were the final pieces of a much larger puzzle that had been in the works for the past thirty years. A puzzle that neither Jeffrey nor I completely understood. Suddenly we understood that our own lives were bound together in a way we never suspected. Now we understand there are no coincidences and thus both of our lives have changed dramatically – for the better. 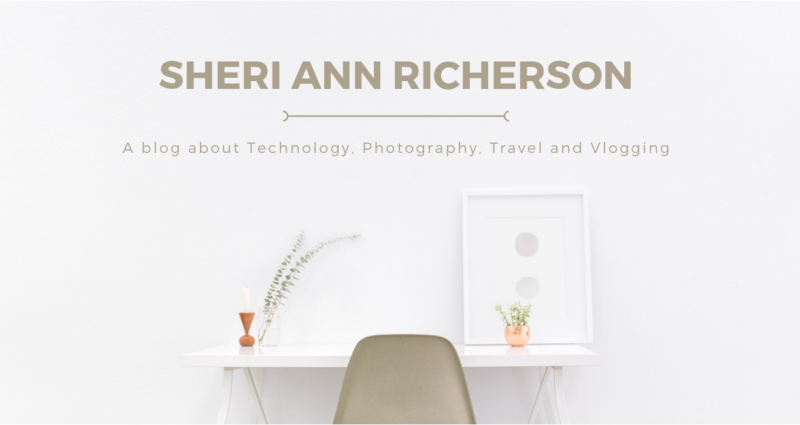 I came to understand that writing is so much more than just putting words on paper – or typing them into a blog. The trance I often feel like I am in when I write is normal….and nothing to be afraid of. In conclusion, the book is mind blowing from a scientific point of view. The book, 11 Days In May, stripped away the illusions that Jeffrey’s studies of math and science had created. For me, it was confirmation that my perception of life was not wrong. The book is enlightening, inspiring and it just makes sense. Simply put, 11 Days In May is a must read!